Every year, we analyze information we collect about our clients to develop an updated profile of the average person filing insolvency. We call this person Joe Debtor. As the economy changes, so too does Joe Debtor. In 2014/2015 we warned that we were seeing an increase in the number of seniors filing bankruptcy. In 2017 we highlighted that, despite a robust economy, we were leaving people behind who were struggling on a lower than average household income and becoming insolvent because they were relying on debt to make ends meet. In 2018 we continued to raise concerns about the payday loan crisis facing heavily indebted borrowers. While some of those trends continued our recent Joe Debtor study, completed in 2019 based on 2018 insolvencies with our firm, highlighted the plight felt by Millennials. They are the fastest growing cohort filing insolvency. And it’s not just that they are aging in – they are dealing with more debt at a younger age than any previous generation. They are filing bankruptcy at a rate that far outstrips their entry into the working world. 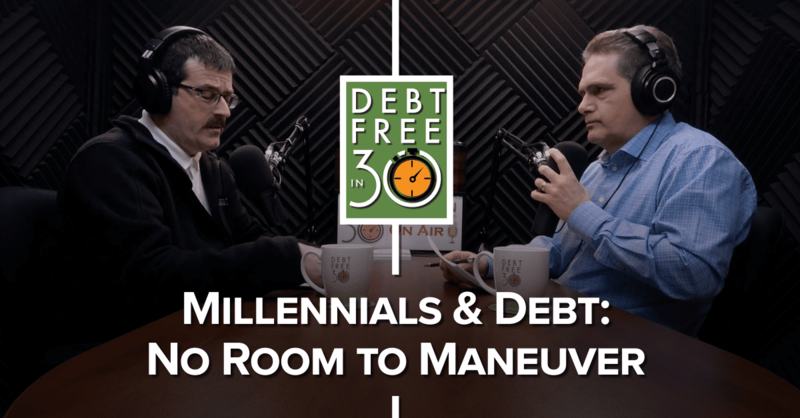 I talk with Hoyes Michalos co-founder Ted Michalos as we explore reasons why Millennials are struggling with debt repayment and why they are filing a bankruptcy or consumer proposal so soon. In 2016, Millennials (those born between 1981 and 1996) totaled 29% of our clients. In 2017, they accounted for 35% of our files and by 2018 they made up 37% of all bankruptcy and consumer proposals we filed in that year. When we say Millennials, we are referring to those born between 1981 and 1996. True enough, Millennials are older now and you may say that is why they are filing insolvency. However they are filing insolvency much younger and much faster than previous generations. Student debt. More than 3 in 10 Millennial debtors carry student debt. Those that do still owe roughly $14,000 at the time they file insolvency. And this is after struggling to make payments for several years. This is a generation for which the return on investment for an education has fallen, and for many it’s negative. Tuition costs are not affordable without a parent paying or taking on massive debt. If you can’t find a stable job with a decent income it is impossible to repay $25,000 to $30,000 worth of student debt before other costs of life like raising a family or buying a home take over. Using credit to pay for living costs. We see an increased use of credit card debt and lines of credit among Millennial debtors. Some of this is because as they get older, they increase their limits. But a bigger portion is the fact that they are using credit cards to help pay for school, carry those balances forward and then accumulate more balances while they are trying to establish their careers. They are using credit to pay for everyday living costs. The problem is that eventually they run out of traditional credit options and can no longer keep up with their minimum payments. Payday loans. This is an industry that adapts and traps. When you can’t balance your budget, and traditional credit options run out, our clients often turn to payday loans. Millennials, tech savy and young, are heavy users of payday-style loans. Almost one-half of Millennials debtors had at least one payday loan outstanding at the time they came to see us. Online convenience, and new longer term installment and lines of credit loans, at extreme rates of up to 59.99% are trapping a generation in debt. Insufficient income to get out of debt. Our typical Millennial client has a monthly take-home pay of $2,400. They carry an average debt load of $35,733. The issue though is not the debt itself, but their inability to service it. As young borrowers, already burdened with student debt, they have few credit options other than high interest second and third tier lenders. After paying living costs they have roughly $240 a month left to repay debt that has a carrying cost of more then $1,000. They have no assets to fall back on. Unlike other demographics examined in our study, our average Millennial client doesn’t own a home, or if they do, there isn’t enough equity to allow them to refinance their debts. This is why they have no room to maneuver and file for bankruptcy at such a fast rate. As more Millennials pass the 7-year limitation for student debt forgiveness in a bankruptcy or consumer proposal we expect to see student debt insolvencies rise. We believe the rules regarding how long students must struggle to repay debt should be changed. If students are unable to keep up with student loan payments 4 years after graduation from a 4 year program designed to increase their earning potential, then, as a society, we should not be making them wait 3 more years to get out from under an ‘investment’ we required them to make but didn’t provide the opportunities for them to recover. While Millennials are filing at a faster rate, the majority of our clients are still Generation X, at an average age of 43 years, carrying $49,289 in unsecured debt in 2018. Unlike Millennials, Gen Xers usually do own a home, are often married, and they have children. When faced with a sudden job loss, they have a harder time getting back into the workforce, either because their skills are out of date, or their work has been moved overseas. This increases their need to rely on debt to make ends meet. What often drives them over the financial edge is that they not only take care of their own children, but they may be taking care of their parents as well. They are squeezed financially. Seniors enter retirement with debt for several reasons. They may not have focused on pay off their debts in their higher-income earning years; they may be helping older children and grandchildren financially; or their pensions and savings aren’t enough to keep up with the rising cost of living. In effect they carry a lifetime of debt. Seniors carry the highest credit card debt of all age groups at an average load of $25,784, which represents 41% of their overall debts. They also have the greatest debt-to-income ratio at 226% in 2018. We often see clients who have already faced a wage garnishment or have their debts in collections, or they have completely maxed out their credit before seeking help. Before reaching a desperate point, we would recommend speaking with a Trustee as soon as you start to feel burdened by your debt load. The sooner you deal with your debt, the more options you are likely to have available to you. You can find our complete 2018 bankruptcy study on our website or listen in to Doug Hoyes & Ted Michalos explain why Millennials are increasingly staring down the barrel of insolvency. Doug: If you ask the average person on the street to describe someone who’s gone bankrupt they’ll probably tell you that that person doesn’t have a job and blows a lot of money on credit cards because they spend too much. But is that true? We hear lots of stories about why people get into debt but what really causes insolvency? Anecdotes are fine but we want to go beyond the stories and the stereotypes so every year we crunch the numbers and today Ted and I report on our most recent results. There’s no one size fits all solution when people come into meet with us so we try to make sure we get the right solution and to do that we ask a lot of questions, like who do you owe money to, what do you own and what does your monthly budget look like? We use those numbers to create your proposal or bankruptcy and then at the end of the year we look at all of the data from everyone who filed with us to develop a profile of the average person who files a consumer proposal or bankruptcy to get relief from their debts. We call that person Joe Debtor. Ted and I spent this week talking to the media discussing the results and we have a full report on our website at hoyes.com. So today we’ll mention the numbers but since Ted and I don’t do joint media interviews today’s show will be the only chance we get to discuss not only the numbers but what they mean. So Ted, let’s get started. Let’s start with the overview, we did our first Joe Debtor interview starting in 2011 and we can see all the trends because we’ve got many years of history now, what jumped out at you most in this year’s study? Ted: Well, I mean the title we picked for this year’s study is probably the most appropriate, we called it No Room to Maneuver because frankly the people we’re seeing just haven’t got any more room to manoeuvre, they’ve used all of the normal types of credit to the extent that they’re able and then they’ve gone to secondary and third tiers. And I know you like to talk to me about payday loans and stuff and they’re really over indebted to those guys. If anything can go wrong it has gone wrong and there is no room for any type of mistake or error going forward for these folks. Doug: Ted want to talk payday loans. I’ve made a note and we’re going to get to that. Ted: Yeah, the part that’s most disturbing is, traditionally we talk about the baby boomers and the seniors, but this year the group that really looks like they’re getting nailed are the millenials and that’s the first time I’ve noticed that. Doug: Okay so let’s talk about millennials because you’re right, millennials are the big story this year, they’re becoming a bigger proportion of our clients. So if you go back a couple of years, 2016 it was 29% of our clients, 2017 it was 35%, 2018 it’s now 37%, they are the fastest growing age group of every age group that files with us. And just so that everyone is clear here, by millennials we’re referring to anyone who was born roughly between 1981 and 1996 so that’s kind of people who are 22 to 37 in 2018 when we did the study. The only bigger group filing insolvency is Gen X’ers, which roughly is again people born 1965 to 1980, so right after the baby boom, they make up 39% of insolvency so roughly the same as what we’re seeing with millennials. So we’re going to talk about millennials but let’s hit this Gen X’er thing first. So, why are Gen X’ers still the most common age group to file insolvency and I think the most common age is somewhere in their mid 40s. So why is that? Ted: I mean it’s somewhere between 42 and 45 years old. And if you think about a normal life cycle for a family or for a person, at 45 years old they’ve been out of school for a decade, they’ve probably got a house, maybe a spouse, a couple of kids, they might now have to start dealing with their parents, there’s all sorts of things happening to people in their mid 40s. And if you add to that the complexities of the job markets these days where jobs are either going to Alabama or Mexico or they’re just being down sourced, any kind of disruption to the normal pattern and they’re in trouble. Doug: Yeah, you’re totally squeezed at age 43, 44, 45. Ted: Because you’ve got it coming from both ends, your kids have issues, your parents have issues. Doug: Yeah, your parents are still around, you might be helping them, they haven’t left you an inheritance yet because they’re still here and you’re not at the peak earning years either. You’re not the president of the company yet so you’re maximally squeezed. Ted: And you’re still acquiring lots and lots of debt unfortunately. Doug: Unfortunately to do it. So that’s why people in their 40s get in trouble, let’s go back then to millennials and so I mean when I think millennials pretty obvious, and you kind of alluded to it, student debt is the number one I think about. Ted: Yeah, I mean a third of all the millennials have student debt, it’s somewhere around $14,000. And that may not sound like a big number but it’s 40% of their total debt load, it’s a big number if you think about the fact that they’re just starting out their careers. So they’ve gotten out of school, they’ve got that entry level job that doesn’t pay well in the first place and they’re trying to set up their life. So they may never have had an apartment before, they may be in a relationship now, they may be starting a family, there’s all these things that they’ve got to do and they haven’t got the income to support it. Doug: So explain the seven year rule. Ted: Well, so the current state of bankruptcy law is you have to have been out of school, so ended your studies, for a minimum of seven years, for student loan debt to be included in an insolvency so a bankruptcy or a proposal. There’s a five year clause for hardship that nobody properly understands, it isn’t used very often, so seven years is what we’re going to focus on and it’s a stupid law by the way. Doug: And I believe you and I travelled to Ottawa back in 2008 and had a little discussion with the senate banking and trade committee and we made the recommendation that it was a stupid law. I mean we’re going off on an aside here, but we don’t believe that student loans should be treated considerably differently than credit cards and other forms of debt. So I believe what we recommended at that time was perhaps a two year law because okay, you don’t want someone graduating as a doctor and going bankrupt the next day. Ted: I think effectively the period should be as long as you’re studying, that should be the exemption period. So if you get a one year degree at the community college to become a tradesperson and you can’t find work, you ought to be able to get out of it in a year. If you spend eight years on higher education as a doctor – anyway, this isn’t the student loan show, let’s talk about something else. Doug: Well no let’s finish on the student loans though because I actually looked it up. I went on the inter webs and I went on The University of Toronto website, an arts and science degree, the tuition for one year is $6,800, nursing $9,100, applied science and engineering $15,760 for the coming year. Minimum wage in Ontario right now is $14 an hour so if I could get a job working 35 hours a week during the summer for 16 weeks I could make $7,840 before tax. So mathematically there is no way that I can get a summer job and earn enough money and pay tuition even for the lowest cost degree, ignoring living expenses, books, everything else. So, I mean isn’t that one of the reasons that millennials have no room to manoeuvre, they have no choice but to get a student loan? Ted: Well, yeah effectively we haven’t made the correct policy decision. So we want people to get a postsecondary education. Doug: We’re not actually in control of all of this. Ted: But yes, as a society. Doug: That’s right, there’s a disconnect, we want people to go to postsecondary, we want them to get advanced learning but they’ve got to find their own way to pay for it. And the logic has always been they’ll have a much better quality of life, they’ll have higher income potential, all those things. I don’t know if any of that was true. In fact I were to talk to any kid these days I’d say go talk to a plumber because there aren’t enough plumbers and you know you’re going to make $100 an hour. Doug: Yeah, well you want to be the receptionist, you want to be a salesperson, we only hire people with university degrees. So we kind of have done it to ourselves. I agree with you, there’s a lot more money to be made in a bunch of the trades, as an example and obviously you still need some schooling and some education for that but you’re not piling on a huge burden of debt. And of course that massive debt just means I’m – I can’t find the great job. Ted: You can’t do other things. Doug: I can’t do other things. Ted: Right because I’m already starting with a debt that I’ve got to make this payment for. So even if you found the great job you probably can’t afford to save money for the house, you can’t afford to buy that car or those other big ticket items that you want because you’re dealing with all of this student debt. Because I guarantee you that if you graduate with a bunch of student loan, you probably came out of there with a line of credit and credit card debt to boot. Ted: You put life on hold. Doug: Yeah, you have to put life on hold. And the reason we mentioned the seven year rule is because yes, it’s seven years before you can avail yourself of a consumer proposal or bankruptcy to eliminate the debts. So the people, and you already said it, they’ve got $14,000 of student debt when they come in to see us on average, in a lot of cases it’s been seven years that they’ve been trying to wrestle through this or more. Ted: Correct, otherwise they wouldn’t be talking about it. Doug: That’s right. So, now we do do, you know proposals for people who have been out of school for two or three years and have a line of credit and credit cards and other debts, and that’s why they’re availing themselves of that opportunity. Okay, I made a note on my credit card and I wrote down payday loans because I know that that is your favourite topic so tell me about payday loans and millennials. Ted: Well, let’s start with the first number, the average millennial that comes to see us has $4,800 worth of payday loan debt. That average income is $2,400 a month. Doug: This is a problem. Ted: So what the law says right now is that a payday lender can lend you 50% of your net pay off of a paycheque because the concept is I’ll pay it back in two weeks. So, I make $2,400 and I owe $4,800 in these payday loans, something’s gone wrong and it’s unsustainable. And the reason they turn to the payday loans is because they can’t get credit anywhere else. They haven’t got a house with equity in it, they don’t have any kind of investments or savings and they don’t have any kind of employment history so they’re considered high risk by everybody. Doug: Yeah, they’re – and it’s not that they can’t borrow anywhere else it’s that they’re maxed out everywhere else. They’ve also got – and again we’re talking specifically about millennials here, we’re not talking about everybody in our study, they have $30,000 worth of other debt. They’ve got credit cards, bank loans, student loans, income taxes, whatever. Ted: And people you should note that $30,000 that’s the lowest level of debt for the age groups that we use in our study and $36,000 in total, which is significantly lower than the average Joe Debtor, they just don’t have the means to deal with it. And the minimum payments on their $36,000 are higher. Doug: And that’s the key. It’s not the level of debt that gets you into trouble, it’s can you service it? And so if you are dealing with sporadic income, you’re in the gig economy, you’re going from contract to contract and the debts that you’ve got are things like payday loans, which have massive levels of interest. Ted: Ridiculous levels of interest. Doug: So I mean your typical – it’s $15 on 100 is the maximum they’re allowed to charge you but if you get a payday loan every two weeks you do the math, that’s 390% interest you’re paying on what you’re borrowing. And I know the payday people can disagree with me, so fine send me an email and tell me why my math is wrong. Ted: I’ll give you a better number. So if you’ve got $4,800 worth of payday loans every month, you’re paying well, $1,400 worth of interest per month on the payday loans. Doug: Yeah, it’s huge. And we define payday loans as any loan from a payday lender and of course they’re not just $500 payday loans anymore. Ted: Oh no, so they’ve branched out a couple years ago to these new they call them instalment loans and I believe is the limit $15,000 for those? I mean you can find companies that will do more depending on where you draw the line. So now instead of a 390% payday loan we’ll give you an instalment loan to pay over six months at 59%. Doug: Yeah, because once you get over $1,500 your subject to criminal code provision so they can’t charge you 390%, they can only charge you up to 60%. So we see a lot of 45% and 49, 59, whatever. Ted: And so if you’re experiencing any of this folks the pattern is this, you get the first payday loan because something drove you to do it. I mean it’s easy to get the loan, they’re available 24/7 on the internet, their hours and their stores are open late, it’s easy to get the first loan. And then when you have to pay it back you end up getting a second loan and then you need a third one because between the first two you can’t make the payments. And now you quickly accumulate that number that drives you to the instalment loan. And then what happens is you can’t make the payments on the instalment loan so then you go back and get payday loans again. I mean these guys just drive me nuts. Doug: And it’s just a constant cycle. And because there’s now a rule in Ontario that you can’t do a rollover loan, so there has to be seven days between when you pay off a loan before you get another one from the same place, you have to go a second lender, a third lender so that’s why our average millennial who has a payday loan, has four of them. Ted: Right. And at least once a week now I sit down and talk to somebody that the only reason they’re talking to me is because of these payday loans and instalment loans. I mean that 10 years go just didn’t exist. Doug: It wasn’t a thing. Ted: And now it’s become common. Doug: Yeah and again we’ve done many shows on that and probably will do many more again. It’s a serious issue. So okay we talked about payday loans, let’s talk about credit cards. So they are also a problem. Ted: They are because the average millennial is carrying about $12,000 worth of credit card debt. So think about this I’ve got $14,000 worth of student loans and the interest rate on student loans aren’t horrible, it’s prime plus 3% so these days it’s what, 7 or 8% on a student loan. Credit cards could range anywhere from 11% to 29% probably the ones that these students are carrying, the millennials, probably 21, 22%, pretty vicious. And then of course we throw the cherry on the top with these payday loans. It’s just impossible to service the debt. Doug: Yeah and so would you say then that it is a debt problem that millennials have or is it something else? I mean it sure sounds like it yeah, it’s pretty simple, they have a debt problem. Ted: I mean I’m old school in some respects, cash is king. So the debt – it’s not just the debt, it’s the servicing the debt, the interest is the problem. Doug: Yeah and it’s the inadequate income that means you’re having rouble servicing the debt. So, I mean 88% of millennials are working when they file with us so it’s not that they don’t have a job. Ted: In fact many of them have two. Doug: Yes, exactly. They’re working part-time jobs, they’re working contract work, they’re working in the gig economy which we talked about on last week’s podcast, you want to listen to that one. So paint the picture then of that typical millennial, so someone who’s I don’t know 30 years old who walks in to see you, what is it they’re faced with, what is it that they’re struggling with? Ted: Well, alright so let’s call this John, John’s take home pay is $2,400. Depending on where he’s living his rent is anywhere from 8 to $1,200 a month. He’s got transportation costs that he’s got to pay, he’s got to eat, he’s got about $240 at the end of the month to pay towards his debts. That’s all that’s left in his budget and that seems reasonable, that’s 10% of his budget. The problem is to service all of this $3,600 worth of expense of debt, the student loans, the credit cards, the payday loans, you need more than $240. Doug: Yeah, it’s more like $1,500 or $2,000 a month that you need. Ted: Just the payday loans are $1,400. Doug: Yeah and so it’s just impossible to do it. And you’re right, high living costs, you know, they don’t have a house that they can refinance. Ted: And they’ve got no history to access better rates of credit. So if you’ve only been in the workforce for four or five years nobody’s going to give you preferred rates of credit, they’re going to be at best market rates. And once you exhaust those you’ve got to go to the second tiers that are more expensive. Doug: So that’s kind of why we’re calling it no room to manoeuvre because they just don’t. I think it’s difficult for someone, you know, as old as us – well and for us and I think if you’re not faced with what millennials are faced with today you kind of look back at it and go well, when I was your age I was doing fine, I don’t know what the problem is. Ted: I was driving a truck. Doug: Yeah and we should do a show on that, you’ve got some good stories about that. So when I went to university, which was in the 1980s so it was a few years ago, over 30 years ago. Ted: We were using kerosene lamps. Doug: We were, we didn’t have the inter web back then and tuition was $1,000 a year. So I could easily get a summer job, even if it was at minimum wage and earn enough to pay tuition, probably cover my books and my parents helped out with living expenses so I don’t recall any of my friends graduating with huge student loans. Maybe there were some, I don’t remember, but if education’s only costing you a few thousand dollars a year you could fund it yourself, I had a part-time job when I was in university it as no big deal. So, I think we have to take a step back and say yeah, there are some real actual challenges faced by millennials, it’s not a case of oh, they’re just lazy, they should work hard and they feel entitled and all the rest of it. No, it’s a different world, it’s absolutely a different world. Ted: It’s a lot more expensive world. Doug: So, let’s get to the practical advice section of the podcast now. And I want to touch on some other interesting findings that we’ve got and as we get to that. So let’s start with gender and insolvency, have we reached equality yet Ted? Ted: Yeah, congratulations ladies. When we started our studies back in 2011 the split was 60/40, 60% men. Now it’s basically 50/50 so you have managed to pull yourselves up to the point where you’re as indebted as your fellow man. Doug: Or men have dragged themselves down, whichever, but yes we’re now at equality when it comes to the numbers of people filing, now in our study insolvent women earn about 4.7% less than males, they’re more likely to be single parents, so 26% of them are single parents versus 8% for men and they have more exposure to student debt. So 22% of females have student debt, 13% of males have student debt. Ted: Now they also have less debt overall but again remember once you factor in all these other things it’s not an advantage. Doug: It’s all relative. So, why is that? I mean I guess we’ve already answered the question. They’re more likely to be single parents. Ted: Right, which is a big stroke against them. I mean you’re already dealing with all the aspects of having a family and a single income no matter what assistance or programs that government has it’s not easy to do. Doug: Yeah and it’s not just purely an income thing. And your kid is sick, and little kids are always sick because that’s what happens, then you’re the one that has to take the day off work. If you’re a single parent, you’re the only one who can so, can’t put them in daycare, you’ve go be taking them to the doctor. So it’s not just the money, it’s all the other things roped into it that end up causing these issues. And unfortunately we don’t have any great solution to this. Ted: There isn’t a great solution. Doug: It is what it is. Again, all we focus on is the debt piece of it. And so as a result, okay if part of this challenge is you’ve got all this debt and you can’t service it well then that’s where consumer proposals and bankruptcy come in. Now we talked about millennials, you addressed very briefly about seniors, so what do we know about seniors from our study? Ted: Well, they’ve got the highest level of credit card debt, somewhere around $26,000 and in fact seniors have the highest level of debt overall. Doug: Why is that, why would it be that seniors have more credit card debt than any other age group? Ted: Well, so seniors are – we said that the Generation X’ers were getting squeezed by their kids and by their parents. Seniors are also getting squeezed, they may have gone into retirement prematurely or not properly prepared. I mean the biggest mistake if you want to call it that I see is they go into retirement in debt. For whatever reason they weren’t able to get themselves debt free in their high earning years, and so now you’re going into retirement carrying those same levels of debt but your income drops considerably, you no longer have the ability to service it. Doug: Yeah and it’s not that they planned to do it. It’s that okay, I’m 55 years old and I get downsized, so kind of hard to start a new career, I can’t really go to school for a few years. Doug: So you’re helping them out. Ted: You’ve got 30 year old kids that are still in the house because they just can’t get started because they haven’t found the right job yet or whatever. I mean there’s all sorts of pressures on people that are in their 50s and early 60s, pressures that didn’t exist 20 years ago. Doug: Yeah and we define seniors as anybody 60 years and over, which in a lot of cases they’re still working but you’re right if once you get a pension, now you’re on a fixed income but of course there’s no such thing as fixed expenses, right, it keeps going up, all the other expenses keep going up. So it’s a big problem. So there’s a lot more detail in our study, it’s all over hoyes.com I’m not going read through every single number but I guess the high points that there are more younger debtors we already talked about that, the average age is now 43 years old. Ted: Climbed down from previous years. Doug: Yeah it used to be more like 45. If you look at it in 10 year increments, 30 to 39 years old is now the largest 10 year age group of filers. Ted: And that’s the effect of the millennials pushing the envelope. Doug: Absolutely. And I mean obviously we still see that that, you know, 43 year old person is the most common age but when you look at it in a 10 year span, the 30 to 39 year olds are greater. Only 32% of people who filed with us are married or common law so obviously the rest are single, 42% are single, 23% are separated or divorced, 3% are widowed. Income is not growing fast enough. So Joe Debtor, so that’s everybody in our study, had an income of about $2,500 a month, up 4.5% over 2017, millennials were slightly lower than that but he’s got $273 in cash available to make debt payments and his monthly interest payments are $1,115. What say you about that because those are scary numbers, that’s not a pretty picture. Ted: Well, the part of this that I caution folks is that millennials are a larger portion of our client base now because interest rates have been historically low and people have been able to refinance their houses. I am absolutely terrified of what’s going to happen in the next couple of years as the housing market corrects, as the interest rates continue to climb and they’ve already climbed what a point and a half in the last 18 months. I think they’re going to go another point and a half in the next 18 months. All these people – I mean our numbers are going to shift again because all these folks that have been able to deal with it through assets aren’t going to have the assets to deal with them anymore. Doug: Yeah and we’re not sitting here predicting housing prices are going to go down 50%. Ted: It’s not a doom and gloom thing. Doug: But even if they just stop going up. Ted: Right. Well if you’ve got no room to manoeuvre now and there’s another change to the system and there’s going to be, either interest rates or something else is going to give, they’re not going to have any place to go. Doug: And so the challenge for people listening is to actually do the numbers. And we did a show a few years ago on financial ratios. I mean this one’s pretty simple, I mean add up everything you’re spending on interest, you know, if it’s over $1,000 a month you’re kind of our typical person we’re talking about. Ted: If it’s over $270 a month. Doug: Then you’ve got a problem, yeah. And that’s the question, how much do you have to devote to interest. And so we’ve got a lot of people coming in to see us and I’m going how have you been doing this? Well, I’ve been robbing Peter to pay Paul. I get a cash advance from my credit card to pay my line of credit and then the next month I do the opposite. Ted: Yeah, I make my minimum payment, I take the money back and I pay the next thing. Doug: Yeah and you’re not really making your minimum payment you’re total debt level is gradually increasing and that gets you into a huge amount of trouble. Now let’s talk about this debt payment issue because that’s really the issue. It’s the ability to service debt that becomes the issue. In 2012 total unsecured debt of all of our clients, of everybody in our study was $60,000 that was the peak year. So right after we started doing this study. 2018 the year we just finished it was just under $50,000, $49,289. Debt levels are falling, so that sounds like good news, yay, debt levels are falling. But of course there’s two problems, we’ve already hit them, income levels are not rising fast enough to keep up with debt repayment and we’ve got these killer high interest types of debts, payday loans, credit cards, that type of thing. Ted: Right, you’ve got less debt but it’s of the more expensive variety. And it’s not a question of being a point or two more expensive it’s a whole quantum, it’s multiples more expensive. Doug: Yeah and the mortgage debt is great because it’s a low interest type of debt but it’s only great so long as the house price keeps going on. Ted: And if you can access it, I mean it’s great that you got $50,000 of equity in your house but if no one will let you borrow against it and at some point you get to the level folks then you’ve got to turn to other forms of borrowing and they’re expensive. Doug: They’re very expensive and we’ve seen that over the last 10 years that people come in and they’ve got, you know, $50,000 worth of credit cards and other debt but oh, my house has $100,000 in equity because it went up by $100,000 they’ve been able to refinance. We’re seeing that a lot less now. Ted: We have an index. Yes we have an index for the Hoyes Michalos homeowner’s bankruptcy index if you go to Google and punch that in for the month of February, which is the last month that we have stats for it was up to 7%, which is higher than it’s been in the last few months but that’s still a historically low number. Ted: Yeah. It was about a third, a third of people owned a house at the time they filed an insolvency and the reason they were able to do that is because their house wasn’t worth that much, it was worth about what was owing on the mortgage, it was no big deal. For the last couple of years virtually nobody who owns a house has been filing insolvency because well, the house has gone up in value it hasn’t been an issue. I think in our year end predictions podcast we predicted that that ratio would being to increase and sure enough it has so far in 2019. And again there’s no room to manoeuvre if your house is not going up you don’t have the equity and with the new stress tests and all the rest of it you hit the main point you can’t borrow against it. Doug: You can’t access it so now you’re going to a secondary form of lending, something more expensive. And once you exhaust those you go to the third and the fourth tiers. And that’s kind of why on our year long prediction podcast you predicted a 10% increase in the insolvency rate. Ted: I did and many laughed at me but it’s not looking so funny anymore is it. Doug: No, so far as we get to the month of March you’re looking pretty good on that. So, okay so let’s wrap this up what is your overall advice then for somebody that is looking at the numbers and going oh my goodness, I’m kind of the guy you’re talking about, I’ve got, you know, a couple of hundred bucks available to make my debt payments but the cost is over $1,000, what should they be doing? Ted: Yeah. So folks, unless you are a trained professional and know how to deal with these problems, then your best advice is to find somebody that is. It doesn’t necessarily have to be a licensed insolvency trustee like Doug or myself, we’re also CPAs so if you’ve got an accountant, a banker that you trust, just whomever you are talking to remember that they’ll have a bias so the bankers bias is they want to sell you that new product they want to get you somehow to be a better customer, which by their definition means they make more money off you. The accountant, if they’re not familiar enough with these laws they’ll tell you to come see somebody like Doug or I. I mean if you get a sore tooth, you’re going to go see the dentist, you’re not going to go talk to the hair salon lady about how to have a tooth fixed. If you’ve got a debt problem go see somebody that knows how to deal with that. Doug: Yeah and we’re happy to sit down with you. I mean by law the first consultation doesn’t cost you anything. Ted: Right and it never has. I mean you can throw something in about debt consultants here but then we’ll go on for half an hour. Doug: Really get off the rails. Yeah, I mean know who you’re dealing with. The reason we put all these numbers out is we want people to understand that you’re not alone, this is what we are seeing in the real world and we’ve been crunching these numbers, it takes a lot of work to crunch the numbers, put them out there but we want people to understand what’s happening. Ted: And frankly folks, if you recognize you’re in trouble early enough you’ve got more options. I mean the most tragic experience I have every week is the person who’s come to me, they’ve already had their wages garnisheed because they’re missing payments, they’re in collections, they’re worried about where the rent cheque’s going to come from. That person doesn’t have a lot of options, we have to do something quickly. If you recognize you’ve got an issue early enough, there are things that can be done and you just need to talk to somebody while they’re still possible. 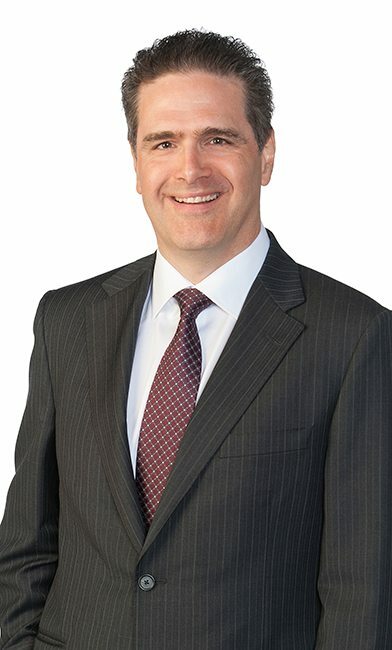 Doug: One of the most common things I’ve been seeing over the last few months is someone who comes in and says well, I’ve got this line of credit, I’ve had it at the bank for 10 years and my interest was 5% and now all of a sudden it’s 10%. Ted: Yeah, how did that happen? Doug: How did that happen? Well, the bank’s tightening up people, that’s what happening. And okay, I’m not in trouble yet because it only happened last month or a couple of months but you can do the math and see that at 10% it’s not sustainable I can’t do it. That’s when you want to be coming in to see us. Doug: Excellent, well I think that’s an great way to end it. Ted, thanks for being here. So, our full Joe Debtor study can be found at a unique URL joedebtor.ca or just go to hoyes.com where you can find full show notes for today’s show and a full transcript of today’s show and links to the full study. 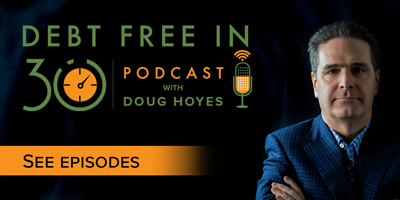 That’s our show for today, thanks for listening, until next week I’m Doug Hoyes, that was Debt Free in 30.